A Scout deserves a Trained Leader! Please consider attending the University of Scouting, the premier training event in the council, which is one of the easiest ways for adult volunteers to achieve this goal of becoming a Trained Leader. This single-day training event is designed to supplement any leader’s training. Any Scout leader may attend. For more information, to view the catalog and register please visit this link on the Crossroads of America Council site. This entry was posted in Adult Education, News, Training, University of Scouting. University of Scouting this Week (1/13/18)! The Crossroads of America Council’s premier training event will bring together Scout leaders from across Indiana to share their knowledge and learn more skills to share and guide the future leaders of our nation. There are over 30 specific courses for Cub Scout Leaders from “Making a Keepsake Arrow” to how to put on a world class “Pinewood Derby” from the nationally recognized 2017 Riley 500 Pinewood Derby team. If you are a new Cub Scout Leader, turn to page 16 of the catalog for an easy reference to picking out your courses for the day. This one day training will answer hundreds of your Who, What, Where, When and How Do They Do It questions. Cub Leaders will have the opportunity of taking a wide range of classes during the day (day-long training) on January 13 at Warren Central High School, 9500 E 16th St., Indianapolis. The University is also the training grounds for the newly appointed members of the Pack/Troop/Crew committees. Additionally, unit leaders and all Scout volunteers find an exciting array of courses. Spend the day with us! Take basic training for every position in the pack. Take advanced training for specialized tasks, such as Advancement Chair. Take hands-on classes like Woodworking or Leatherworking. Check out your opportunities at the link below. We think you’ll be glad you did! This entry was posted in News, University of Scouting. The University of Scouting is this Saturday! Make sure that you are fully enrolled and ready to go. 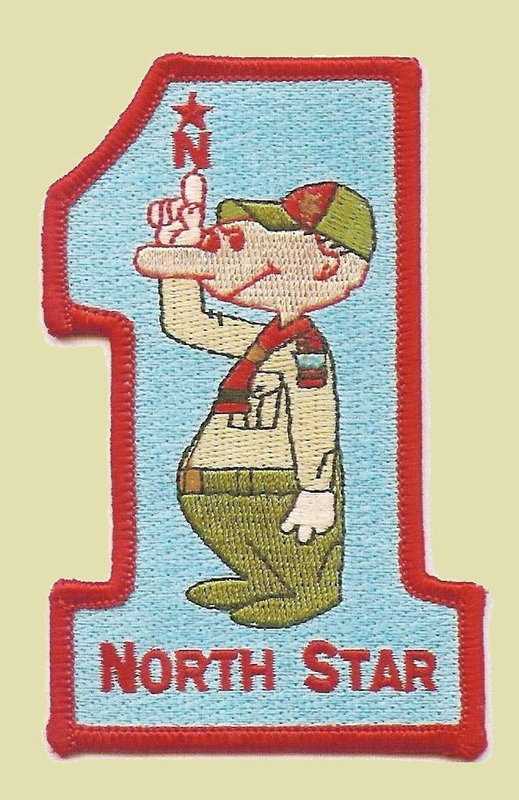 Don’t forget to enroll in your University of Scouting Classes now. Classes fill up. Most all required courses are offered. Electives are very interesting. Help North Star District have the highest per capita attendance of any district. Unit chairs should be contacting or having their Training Coordinators contact each adult leader or leader schedule to step up in 2017 to attend training. The Crossroads of America Council badly needs instructors for the Cub Scout Program at the University of Scouting Saturday, January 14, 2017. Can you either volunteer or scour up some talent? Only three classes remain without teachers and we have the materials and lesson plans to make it Easy Stevie. PC131 Cub Scout Awards and Recognition: One comprehensive course covering special awards (outside of rank advancement) for Cub Scouts and adult Cub Scout Leaders (outside of training knots). Learn how to help your pack get the most out of the program and to get special recognition for those who deserve it (1 credit, Period 5). PC137 Cub Scout Advancement Basics: Learn about advancement and record keeping for the new program (1 credit, Period 6). PC140 Unusual Cub Scout Advancement Ceremonies: Cub Scout advancement is at the heart of an enjoyable learning experience for each boy. Jazzing up advancement ceremonies can highlight the benefit for boys, parents and leaders alike. Come learn new and unusual ceremonies that can be used to enliven your pack meetings (1 credit, Period 6). Please consider this opportunity and get back to me ASAP. This entry was posted in News, Training, University of Scouting. Online registration and information for the 2017 University of Scouting at Warren Central High School are now open. The classes are on Saturday, January 14, 2017 from 7:00 registration to 4:00 pm end of classes. The Course Catalog can be downloaded here, too. The University of Scouting (often the coldest day of the year, so great to be indoors!) is a one-stop offering of many of the mandatory and elective trainings offered in the BSA. Many of the common online trainings are offered live, like Den Leader, Cubmaster Specific, Committee Challenge, and Venturing Advisor Specific! Many live-only classes are offered, too: Scoutmaster Specific and Introduction to Outdoor Leadership Skills. If you have scouters who will need training for future rechartering or scouters will be assuming new position in Fall 2017, this is the time to get them trained. If you have prospects that you would like to recruit but are hesitant, get them in the class to learn more about what they are being asked to do. The most popular classes fill up quickly and discounts for early sign up are available, so sign up today! Brigadier General Ronald Westfall, Chief and Director of the Joint Staff of the Indiana National Guard, visited University of Scouting 2016 to offer his thank you to the Crossroads of America Council’s scouts for their donation of 20 palettes of popcorn worth $85,000. Listen to General Westfall’s comments. This entry was posted in News, Popcorn, University of Scouting. Just a quick reminder for all that the University of Scouting is this Saturday at Warren Central High School (enter through north end of the building). Registrations are running behind previous years, so many good classes are still available. For newer adult scouters, the University of Scouting is the primary Council training event of the year. Most major training courses are offered. Newer Assistant Scoutmasters should consider taking the Introduction to Outdoor Leadership Skills, because it is being taught by our talented District Committee Chair John Wiebke. Many other North Scouters will be serving on faculty, too. Remind your Scouts that they, too, can be trained as Den Chiefs. Sign up is available on the Council website. This entry was posted in University of Scouting.